In its 2014 Sustainability Report, fashion brand Hugo Boss said that it was planning to stop using farmed fur in its collections from Autumn/Winter 2016 onwards. According to Bernd Keller at the company, its sustainable corporate strategy should take precedence over the “fast and simple route to success”. Like many companies, it has realised that global consumers are demanding a more sustainable approach to business. I completely agree that sustainability should take precedence over short-term corporate goals and applaud Hugo Boss for thinking that way, but I would respectfully disagree that moving away from farmed fur is a good method for accomplishing it. Fur is actually one of the most sustainable materials that apparel brands can employ. Fur farms recycle food waste from other industries and can provide organic replacement for chemical fertilisers, while natural fur garments usually last 20-30 years or more and are regularly brought to furriers for remodelling, which extends their life considerably. And at the end of its life, natural fur will degrade quickly and naturally. Globally the environmental aspects of fur are strictly regulated in accordance with national legislation. These guidelines cover the handling and distribution of manure and the use of chemicals. This means that the regulated fur industry sets the best standards in the world when it comes to the environmental impact of this type of farming. Artificial fur, on the other hand, is far from the ‘safe alternative’ some lobbying groups might have us believe. 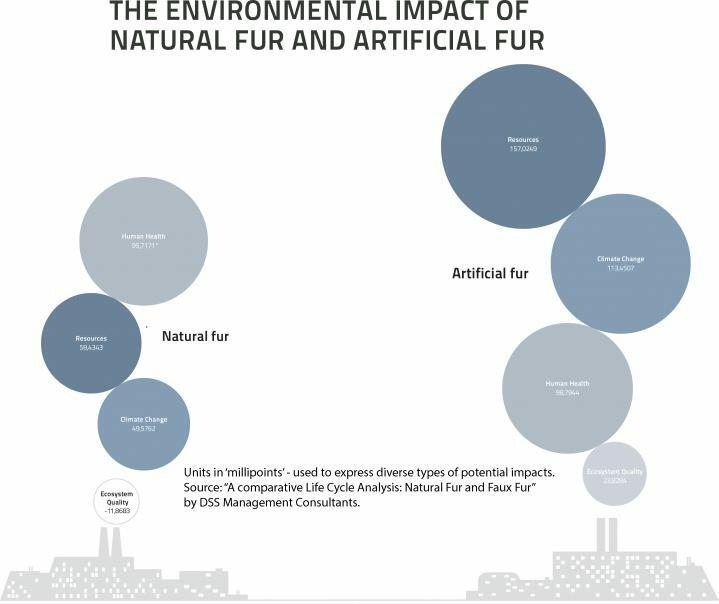 Fake fur, comprising polyacrylates, requires the extraction and fractionating of petroleum, its subsequent conversion into fibres and mass manufacturing into products. These are not only incredibly energy intensive and damaging to local ecosystems, but also produce extremely unpleasant chemical compounds. Plus, fake fur garments are very much ‘disposable fashion’ and will rarely be kept for more than a couple of years – after which they end up alongside plastic bags on rubbish tips, where they could remain for centuries. But perhaps most importantly, I’m concerned that Hugo Boss is not respecting consumers’ choice and ability to decide for themselves. Have the vast majority of its customers in regions like Europe and Asia said they don’t want fur products and stayed away in droves? Its most recent global earnings figures would probably suggest otherwise. Also, its 2014 Annual Report noted that Hugo Boss “has been in dialogue with several animal and consumer protection organisations for many years, to continuously improve in the area of animal welfare”. We certainly welcome intelligent and informed debate on the topics of sustainability and animal welfare. So I would like to conclude with a request to Hugo Boss. If you’re genuinely keen on sustainability and truly eager to engage in dialogue with interested parties, get in touch with us at the IFF. Moving away from fur may net the brand some short-term headlines, but it may cause more harm than good in the long run. And the long run is what sustainability is really all about.